Social media is filled with tons of fan-made Fortnite concepts ranging from skin sets, gliders, back bling, and emotes. Epic Games has a tough task with deciding what new skins should land in the Fortnite Item Shop, or included within a new season’s Battle Pass. Season 8 bought a slew of new changes to Fortnite, including the new Baller vehicle and volcano vents. 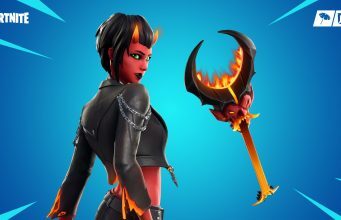 Of course, tons of new skins were included within Season 8’s Battle Pass like Sunflower, Blackheart, and the ninja-like Hybrid. New items are loaded into the Fortnite Item Shop every day, with cool skins like Sunbird being available for 1,200 V-Bucks, or $12. One fan on Twitter, @Lynxwhodat, posted his rendition of the Sunbird skin with a black and red theme. The Sunbird’s face mask is all black with her eyes glowing red, along with her shirt and pants being drowned in black with red decals. 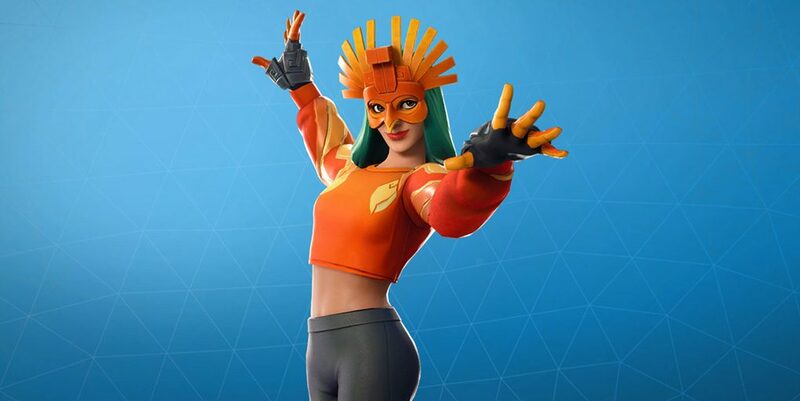 The Sunbird’s original color palette was orange, green, and black making the character stand out in dark areas around the Fortnite map, like Lonely Lodge or the new Lazy Lagoon location. What is your favorite new skin to come from Season 8 of Fortnite?